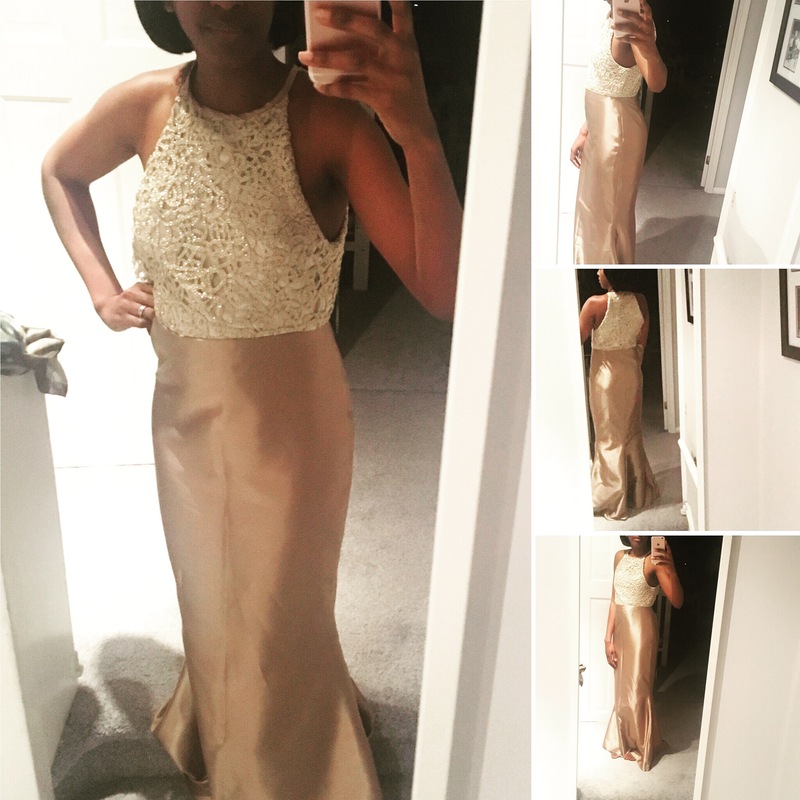 Today I’m finally blogging my last make of 2016, a lace and satin gown I made for my firm’s black tie Christmas party. I’m really pleased with how it turned out and a couple of people on Instagram wanted more details so I thought it might be worth a blog post! 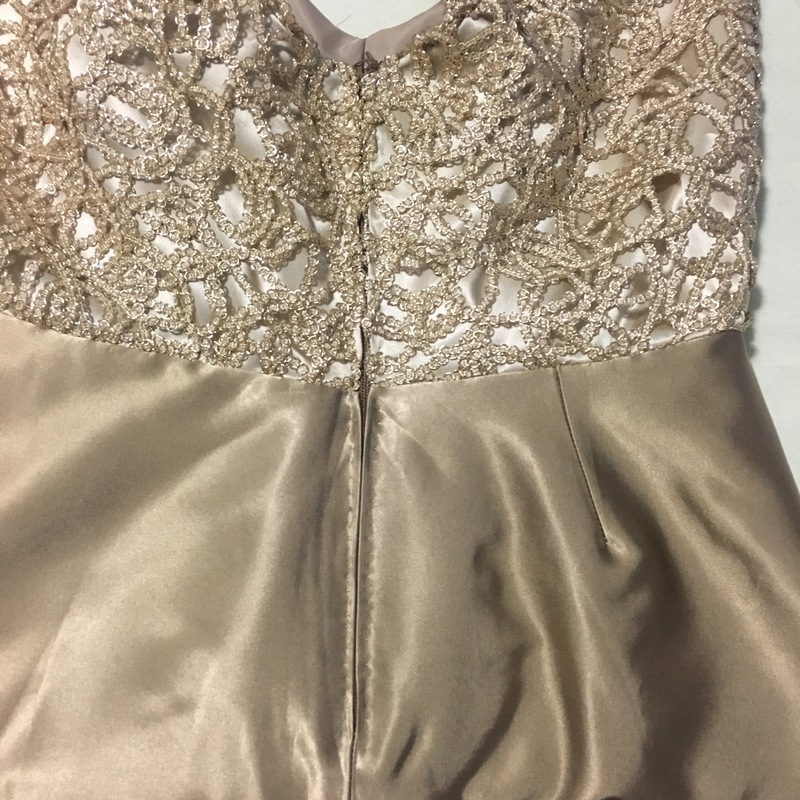 Fabric: A sparkly gold lace underlined with a pale silk satin, for the bodice (both from Goldhawk Road) and a mink-coloured satin from Jersey Vogue in north London for the skirt. I used the same satin as the skirt for the neck binding. 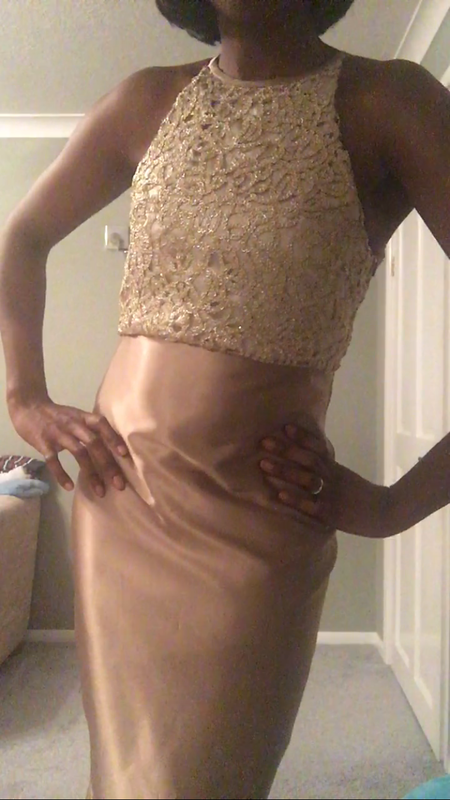 Sizing/Alterations: I cut a size 12 and tweaked the side seams of the hip by sewing up the lining first and pinning to fit, then transferring to the pattern before cutting the main skirt satin. The bodice was also a 12 but required a bit more taking in down the side. I also adjusted the skirt to exaggerate the mermaid shape. I brought the side seams in about an inch at the knees and then blended back to the original side seam above and below. You can kind of see the effect in the back view photo above. The most challenging alteration was the bodice because it’s actually drafted for a knit fabric, unlike the skirt. I guessed at converting a section of ease in the armhole into a dart by cutting and overlapping until it seemed to make a good cup. I was very naughty and didn’t make a toile, but the tissue fit seemed like it would be fine and I was short on time. Next time I will toile and figure out better shaping at the side seam for the bodice as although this wasn’t gaping, it ended up coming up slightly short at the sides for my strapless bra (which I hadn’t thought to try on with it during the tissue fitting) so I was a bit self-conscious of that and fiddled with it a bit all night. But really, these ‘snags’ didn’t stop me feeling fantastic in the dress at the party and it was very well received. I think I also used the original pattern piece for the binding, even though it was meant for knit fabric, because the measurement suggested it would work in a woven too. Instructions: The instructions were nice and clear, I don’t remember having any issues with them. Difficulty: The pattern itself isn’t difficult. 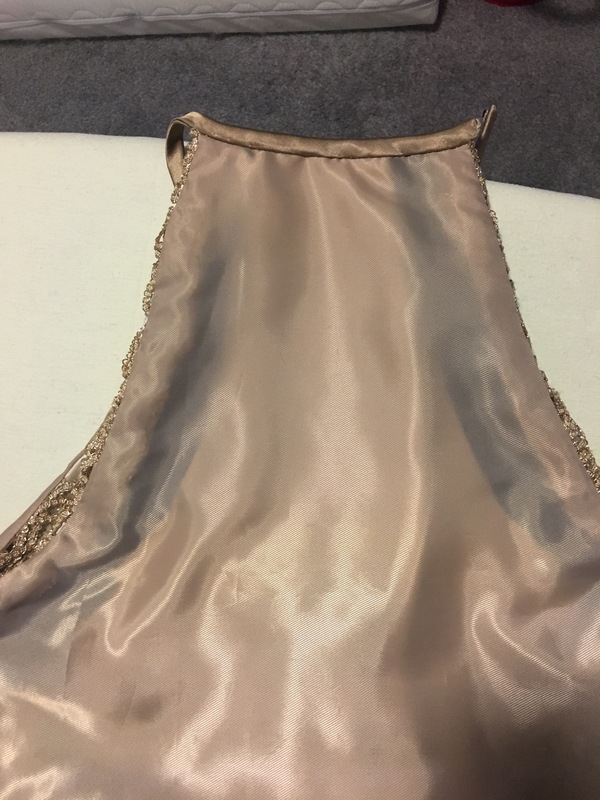 All my difficulties came from my fabric choice (underlining the lace, which I don’t think I did well enough because I was altering the bodice after the original underlining, and then the fact that it was woven etc). It did call for a hand-picked zip, which I tried to keep neat and strong. 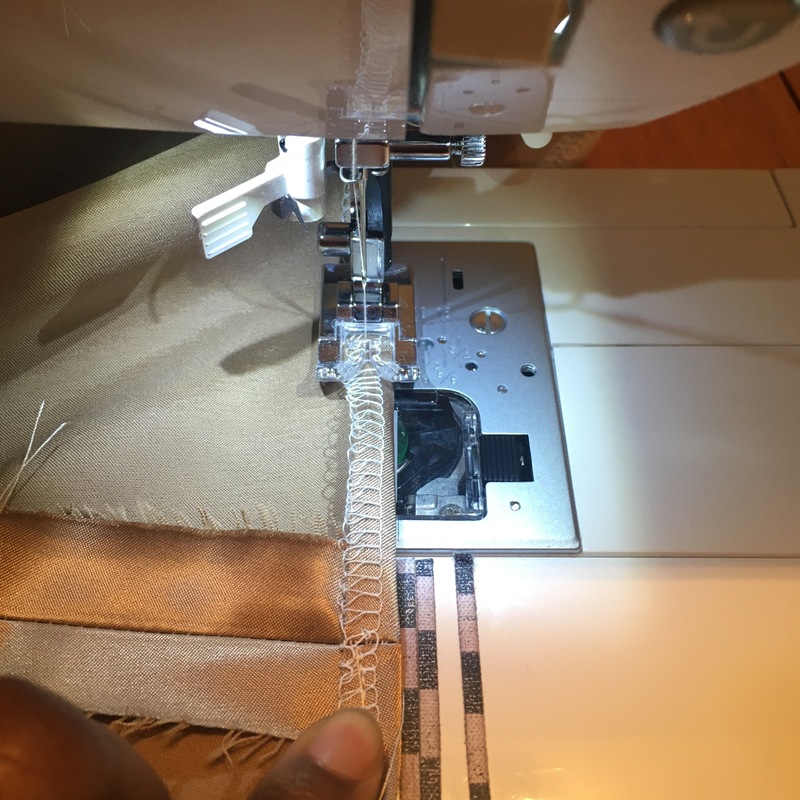 Below is my first pass at it, I then went over the waist seam point again to try to close that gap a little but forgot to take another picture of the improvement, sorry! Other thoughts: I tried to use my narrow hem foot for the first time, on the satin. 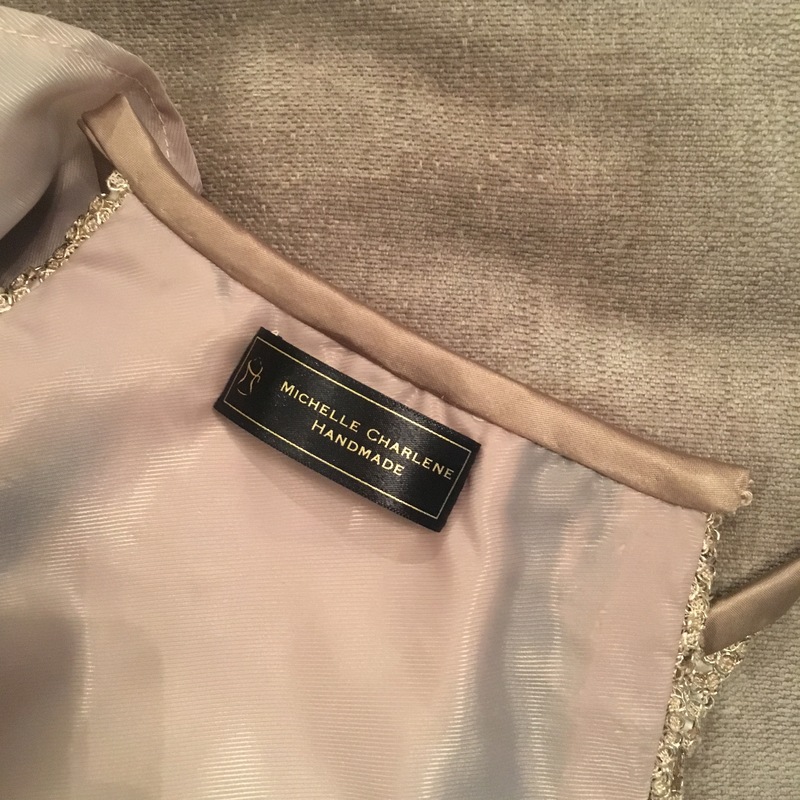 Let’s just say either it’s not suitable for this kind of dress-weight satin or I need a lot more practise first. In the end I overlocked, turned once, and stitched with a straight stitch. I had no time for hand stitching lol. Time taken: with more straightforward fabric I think this would have been a really quick sew. As it is, I worked on it over the course of two weeks (because I can only sew for an hour or so at night on weeknights.. and some nights I fell asleep instead lol). I think it could be done in a day, with time to spare. Would I recommend it, or sew it again? 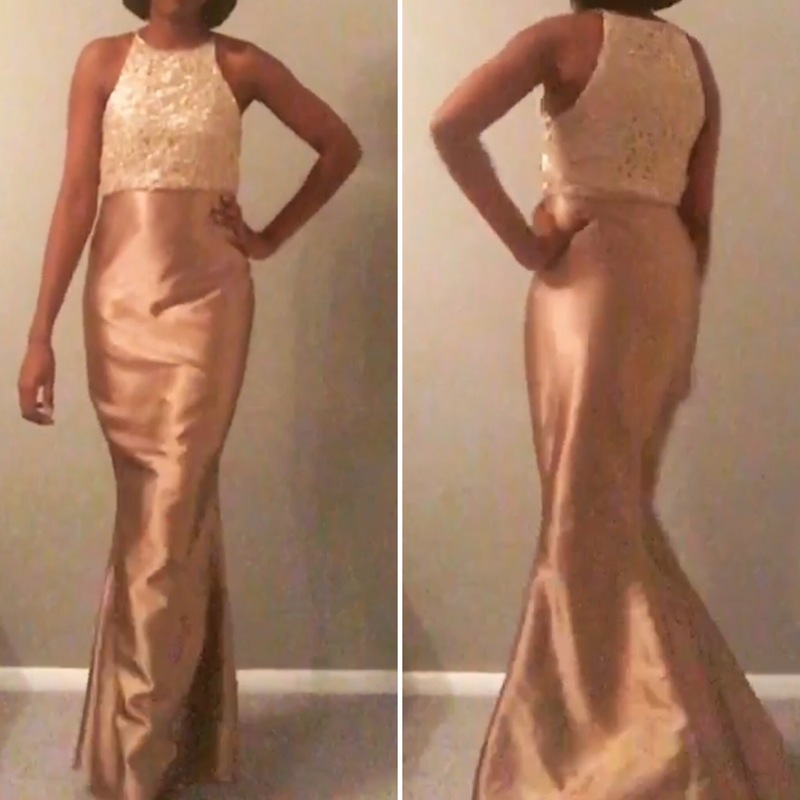 : I was actually really pleased with the outcome and got a lot of compliments at the party, so I will definitely make another version of this at some point, although I’m more likely to use the skirt than do the bodice again. I would love to pair the skirt from this pattern with the top half of this dress I came across on Pinterest [image rights on bottom of the picture].